Missed opportunities cost businesses money! If your business has an online presence it’s critical that posted content is current and relevant to keep your audience engaged. Don’t wait until you have the time to devote to social media management – hire Wedding Market to do it for you NOW! The Wedding Market offers complete Social Media Management for your wedding industry business. We have the experience and expertise to create and manage blogs, facebook, twitter, and Youtube accounts on a fulltime or part-time (5 hour minimum) basis – whatever works best for you. Call or email Social Media Expert and Wedding Market Owner Julie Albaugh to schedule a discovery meeting so we can learn about your company, your audience, and your online goals. We’ll share a bit about us as well such as our background and our success in social media management. Most importantly, it’s about developing a social media management plan for your company that will deliver great results. www.weddingmarketnews.com . Your event will be shared with over 15,000 online connectionsthrough Wedding Market social media channels including tweets, Youtube, and optional live video streaming – Wedding Market can shoot the video too! Your event will be featured prominently on the Wedding Market online calendar and include a banner ad on every page of the Wedding Market website. When your event comes to a close Wedding Market will still be chatting about it via tweets and optional Youtube video posting. 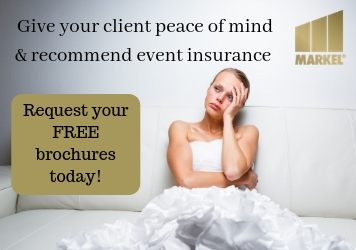 Call (937)215-8136 or email Julie Albaugh for a complimentary social media event consultation.